The Eloise Baby Sweater has been such a popular pattern, I wanted to design a hat to go with! When I asked what sort of hat people were looking for, the resounding answer was a bonnet! And so.. introducing the Eloise Bonnet! The Eloise Bonnet is available in 3 sizes, ending around 19″, which should fit even most 2-3 year olds. This is a baby style bonnet, so it’s sized for babies! If there’s interest in a larger hat for girls/adults, let me know and I’ll design something a little more grown up. This bonnet uses hdc stitches in place of the dc stitches found in the sweater. 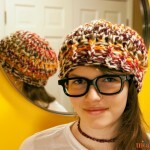 This allowed for more precise sizing, as well as a thicker, warmer hat! To make it truly weatherproof however, I would suggest a sewn fleece lining. Click here for the Eloise Baby Sweater pattern. Row 5 – 6: With Color A, repeat Rows 3 – 4. Row 7 – 8: With Color C, repeat Rows 3 – 4. Row 9 – 10: With Color A, repeat Rows 3 – 4. SIZE 3 MTHS GO TO STRAP INSTRUCTIONS BELOW. Row 11 – 12: With Color D, repeat Rows 3 – 4. Row 13 – 14: With Color A, repeat Rows 3 – 4. SIZE 6 MTHS GO TO STRAP INSTRUCTIONS BELOW. Row 15 – 16: With Color E, repeat Rows 3 – 4. Row 17 – 18: With Color A, repeat Rows 3 – 4. Row 3: With other color of choice, sl st all around Row 2 (work as if surface crochet). Break yarn and finish off. Sew button and strap to one side of bonnet, as shown. On opposite side, sew the button on. Use the ch-4 loop as a button hole to button closed. 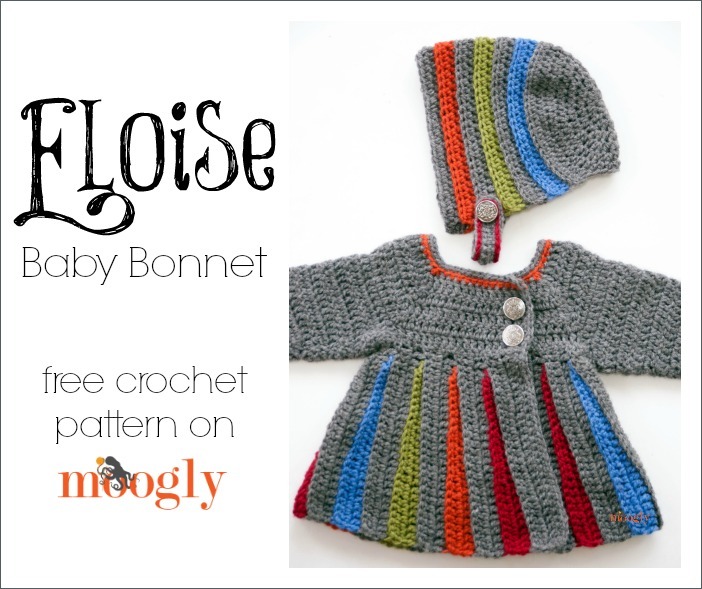 I hope you enjoy this pattern for the Eloise Bonnet! I’d love to get some feedback on sizing of the chin strap, as I don’t have a gaggle of babies at my beck and call to try hats on! Let me know what you think! Written pattern copyright Tamara Kelly 2014. Please do not reprint or repost this pattern, but please do link to this page to share this pattern with others. If you wish to make items for sale from this pattern, please visit the About page for details. To print this pattern for personal use, please use the green Print Friendly button below. Its so cute! If you’re taking votes, I would loooove a big kid or teen/adult version of this. Bonnets are just so beautiful. I really like how you’ve made a more modern version of the bonnet here. Thanks again for the pattern! 😀 Thank you so much Nicole! I’m plotting it out already! I just made this sweater for my 4yo…I would love to make a bonnet to match!!! It is so pretty…Love the colors! Yes please. A big girl hat to go with the big girl sweater would be awesome. Oh, please design a beanie for adults, preferably not too slouchy. This is such a cute idea, love the colors! Thank you for considering it. 😀 Thank you Melanie! I can see a couple different styles in my future! What a delightful little sweater! I would love to be able to make it for my grand daughters. I would need a size 2T and a 6 for my precious girls. 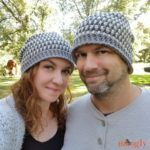 Any chance that you might be able to offer a pattern with larger sizing? It’s adorable! Hi Beth! 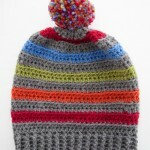 The sweater is indeed available in those sizes, and I plan on adding larger hats in the new year. 🙂 Thank you! What would be the best way to make a lining fir this adorabke bonnet? Sewing isn’t really my area of expertise, but tracing the shapes would be a good start I think? I just finished making the sweater for my granddaughter. It is beautiful! Thanks so much for the pattern. I would love to make the bonnet in a larger size. Can you offer any advice? TAMARA, YOUR DESIGNS ARE WONDERFUL. ALSO THE LITTLE TIPS YOU GIVE ALONG THE WAY ARE MORE THAN GENERIOUS. I MADE THE ELOISE JACKET FOR MY BABY GREAT- GRANDDAUGHTER. IT WAS GORGIOUS! ONLY PROBLEM WAS THAT I DIDN’T HAVE THE CORRECT MEASUREMENTS. DISPITE ASKING NURMEROUS TIMES. SHE MUST TRUELY BE TINY BECAUSE THE 12 MONTH SIZE WAS TOO LARGE. I THINK PROBABLY A NINE MONTH SIZE WOULD BE BETTER. CAN YOU TEACH US HOW TO COUSTOMIZE THE SIZE AS NEEDED. THANK YOU AGAIN TAMARA FOR YOUR DEDICATION TO THE CRAFT. His model is splendid ! Cheer ! Please, do you have the French tutorial ? No, I’m afraid I don’t have a tutorial for this pattern at this time. I HAVE MADE THIS SWEATER FOR MY YEAR OLD GREAT-GRANDDAUGHTER AS WELL AS THE BONNET. BOTH ARE VERY CUTE AND THE YARN IS VERY WARM FOR THE COLD NEW YORK WEATHER. I MADE A SIMILAR SWEATER FOR HER 2 YEAR OLD BROTHER. I FOUND THAT PATTERN (ALTHOUGH SIMPLE) MUCH HARDER. THANK YOU FOR A GREAT, SWEET PATTERN. Hi Tamara, I found your video on YouTube and made the beautiful Eloise sweater for my granddaughter. I enjoyed making it so much. Thanks for a lovely and easy to follow pattern. I have just completed a second sweater that I would like to sell from my Etsy shop. I’ve posted the listing and want to make sure I’m giving you the proper credit and link to your blog. Please let me know if this is ok as is or if you want me to change it. Thank you so much Anita! That’s wonderful – and the sweater and hat are super cute too! 😀 Thank you! Hello Emily! I’m afraid I did not, but I can give you the formula for doing so! 🙂 Just work the initial circle to the same circumference as you would for a beanie that size, and then work the brim in stripes in rows, as many as needed to fit! For the stitch count for the brim, you want to leave about 12-15% of the circle stitches unworked for the neck opening. Thank you, Tamara! This pattern is amazing. Enjoyed making the sweater for my 31/2 year old niece. She rocks this sweater. I would LOVE to crochet my 7 year old daughter a bonnet for Christmas! I plan on crocheting her the sweater for then also!! !